At Geirangerfjord, Norway. photo taken from COSTA LUMINOSA. Quite right. My preference is the smaller POLARLYS, and I prefer this series over the TROLLFJORD series. 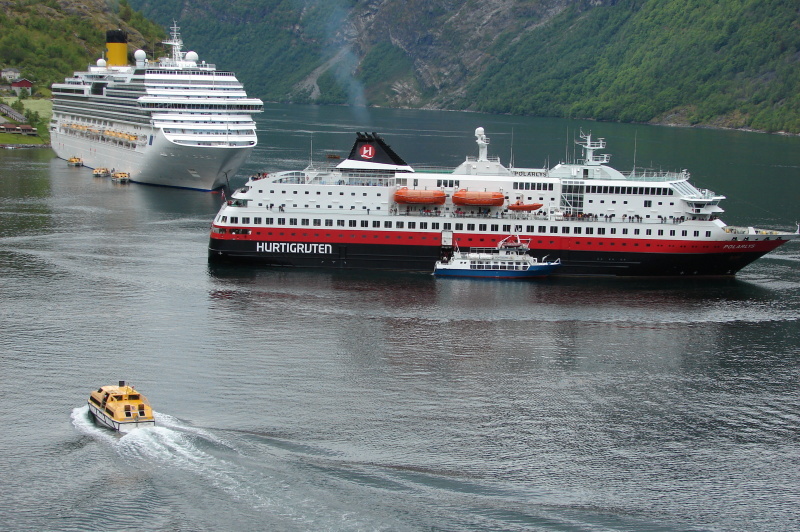 However, I understand that the TROLLFJORD is particularly successful as a cruise ship. quite the contrast between the new generation coastal vessel and the new age costa liner! mrdot. This photo has been shown 580 times since it was added to the site.